GO BOLD. GO STRONG. GO CONCRETE. Concrete buildings resist fire, withstand the high winds of tornadoes and hurricanes and take earthquakes in their stride, providing maximum safety, security and comfort for the people in them. Concrete buildings also provide remarkable flexibility in design, exceptional aesthetic possibilities, strong environmental support, rapid construction and are the most economical for owners over time. The Highly Efficient, Practical Method of Construction. Tilt-up concrete construction is not new; it has been in use since the turn of the century. Since the mid-1940s, it has developed into the preferred method of construction for many typed of buildings and structures. 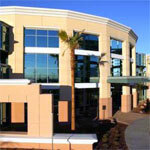 The Cutting Edge in Commercial Building Wall Systems. Lightweight polystyrene foam forms assemble easily and remain as insulation. The integral form ties allow attachment of any interior wallboard while wiring paths are easily cut into the foam. 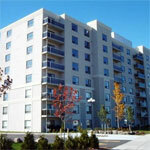 A reinforced poured concrete core provides superior strength and durability. Apply any exterior finish, from brick to acrylic finishes and more.